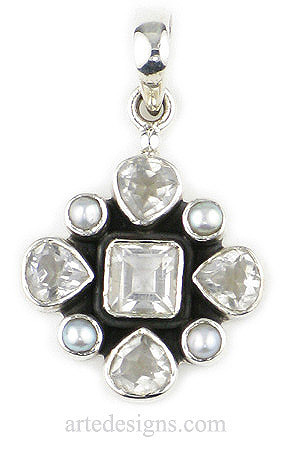 Sparkling white topaz gems pair up with cute lustrous white pearls to create a gemstone pendant that will go with everything. Approximately 1 inch high. Sterling silver setting.